Hidden Fashion uncovers fresh off the catwalk trends and celebrity style. 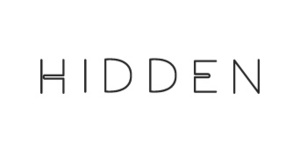 Hidden aims to provide women around the world with the best fashion available with a killer price tag, enabling you to be at the cutting edge of fashion and ahead of the latest trends. They deliver the latest dose of women’s fashion; by providing a premier online destination to uncover the freshest trends, and style inspiration. Inspiring women to live life fearlessly, dance like nobody is watching, and to sparkle when they strut Hidden is wearable confidence just a click away.